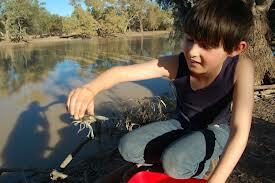 Fishing for yabbies (freshwater crayfish) is a happy childhood memory for many Aussie kids living near a dam or creek. The traditional technique is to bait a length of string with a piece of fresh meat, lower it into the water, wait for the yabby to latch on with its claws, and then pull up the string. 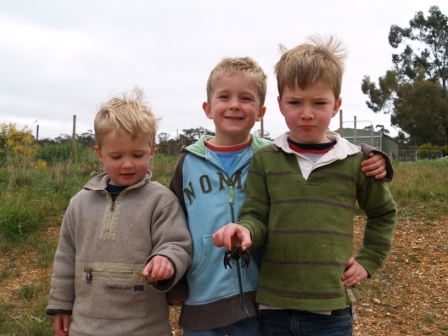 Yabbies make delicious eating, and are also used as fishing bait. The difficulty of identification is compounded by the diversity of common names, and this is confusing for dictionary-makers as well as scientists. Various species of freshwater crayfish are known in different parts of Australia by names such as gilgie, marron, redclaw, lobby, koonac, crawbob, lobster, as well as yabby. My crawbob might be your gilgie (especially if you live in Western Australia), and your yabby might be my lobster (especially if I live in Tasmania). Since we are familiar with the particular name used in our local area, we are unlikely to agree on a single, Australia-wide, ‘correct’ name. Writing a dictionary definition for the common names of these creatures is therefore fraught with difficulty, and not all readers will agree with us. Our decisions are based on quotation evidence gathered in Australian works in print from the last 150 years, so our definitions reflect Australian usage. With some trepidation, then, this is how we define some of these words for our dictionaries. All comments welcome. This entry was posted in definition, recreation, regionalism and tagged crawbob, crawchie, gilgie, koonac, lobby, marron, redclaw, yabby by Julia Robinson. Bookmark the permalink. For what it’s worth, crawdad is not directly from crayfish; there is an intermediate form crawfish, which has spawned a denominal verb in American English meaning to twist around, as when a car is sliding on ice. 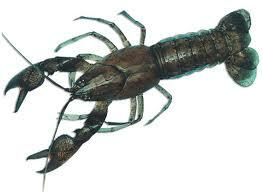 Of course, crayfish has to be the root of the family tree, because it is pretty directly from French écrevisse. The term “Crawchie” has always been commonly used in the town of Helensburgh which is north of Wollongong, NSW. Not that long ago “The ‘Burgh” was an isolated coal mining town. I was suprised to read that crawchie is said to have originated in Queensland. In the latter 1950s (& all of the 1960) yabbies were alternatively known as “Craybobs” in the area around the Watercourse Road to the west of Moree NSW. I learnt this name from my father, whose family had been in the area since the 1830s. We used to “fish for them” in the dams and boredrains.